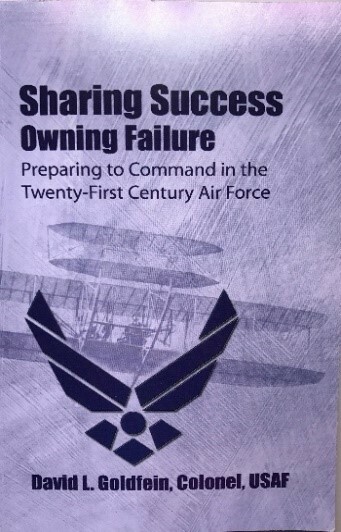 This post begins a new series of monthly reflections on the virtues presented in the new Values for Living 2.0 Character Development program for cadets of the Civil Air Patrol. January’s focus virtue is the core value of integrity. 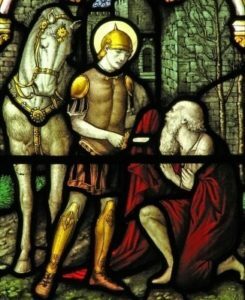 In fourth-century France, on a cold winter day, a beggar was standing by the side of a major road watching Roman soldiers pass by on horseback. The beggar was shivering – his rags barely covered his naked skin and the cold only seemed to worsen his appearance, causing passersby to shuffle off without giving him a second glance. A richly-dressed soldier wearing the long, thick coat – deep red, bright as cranberries – which marked him as a distinguished Roman fighter saw the beggar and stopped. The beggar nearly bolted – what was this ferocious soldier going to do to him? The beggar’s fright grew as he watched the soldier’s face shift from boredom to thoughtfulness to an odd expression that looked something like compassion. Could it be that the soldier felt sorry for the beggar? The beggar’s mind was racing with these thoughts when the soldier dismounted from his horse, drew his sword, and in one swift slice, cut his magnificent red cloak in half. The beggar gasped. The soldier held the divided cloak in one hand. “For you,” he said with a smile, extending the loose half of the cloak to the beggar. The beggar was stunned by the soldier’s generosity and went on his way, warm and safe from the icy wind, his heart grateful. Saint Martin of Tours, France, is the patron saint of beggars and considered one of the patron saints of France. His generosity made him famous. Everyone who heard about his act of kindness thought that Martin must be a compassionate person. 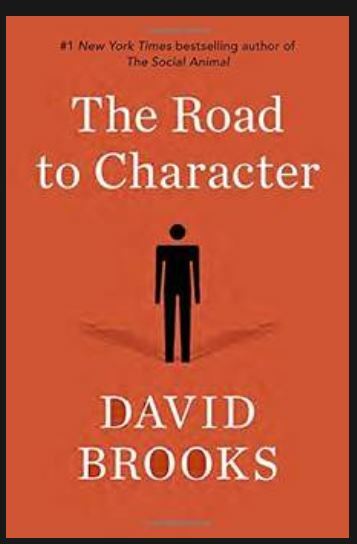 This story is interesting because it demonstrates the value of integrity but does so through paradox. 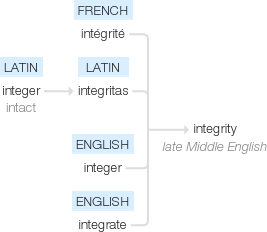 Integrity comes from French as well as the Latin word, integer, which means “intact.” Something has integrity if it is intact, or whole. For example, a common expression in construction is whether a building has “integrity:” is it intact, able to support itself? Is it whole? Likewise, if something is disintegrated, it is broken apart, no longer intact. If two things are integrated, they are mixed together to become one unit. 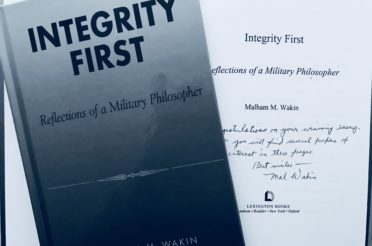 Often we think of integrity as an abstract virtue: if someone has integrity, they are honest and upright – they do the right thing even when no one is looking. But integrity also has to do with whether a person is whole and intact. The way you act, talk, and treat others reveals a lot about your integrity: are you a whole person? Do you take care of your whole self, rather than just focusing on the easy or exciting parts of your identity? Or do you feel like you are a broken-up, disintegrated person with missing parts? Martin demonstrated that although he was an accomplished soldier, he also took time to develop compassion for the needy. Although he disintegrated his own cloak to share it with the beggar, this act paradoxically shows what a whole, integrated person he was. He could have easily passed the beggar but chose to show kindness because he was an integrated person. Are you focusing on your whole self this month, and making sure you have wellness and resiliency in every part of your life? What are some ways you can build your integrity that you may not have considered before? In the comments below, share what you do to work on your “whole self” as well as some areas you would like to improve. 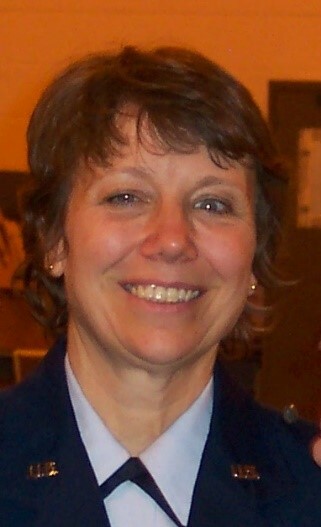 Chaplain Moser is the squadron chaplain for the Roanoke Composite Squadron of the Virginia Wing. 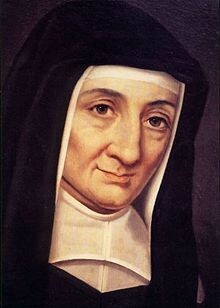 She is a gifted writer and spiritual guide. 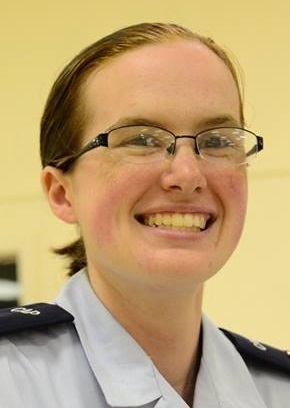 In 2018 she was commissioned and accepted into the United States Air Force Chaplain Corps’ Chaplain Candidate program. Note: All images used are public domain.